This is one of the most important outreaches of our church. We go out door to door to distribute information about our church and any up-coming special services. 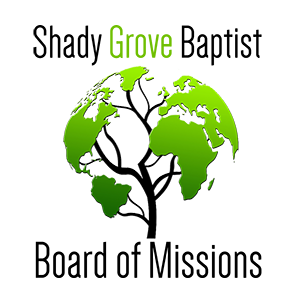 Our ACTS ministry is designed to ensure that every home in our community receives a personal invitation to our church services as well as clear, Biblical information on how they can be sure that Heaven is their eternal destination. Shady Grove Baptist Church is excited about our outreach to provide FREE transportation to anyone who does not have a way to church. We provide rides for children and adults Sunday morning, Wednesday evening and for special activities. Faithful workers look forward to sharing the love of Jesus with you and your children. Come and enjoy the enthusiastic singing and preaching of God’s precious Word. For the last 15 years, Shady Grove Baptist Church has extended an outstretched arm to minister the Good News of salvation to those incarcerated in our area and their families. This labor continues each week when the ladies in our Church visit the local prison facility to provide Bibles, encouragement and love to those who come to hear the teachings of our Savior. Those with whom we minister are encouraged in love to read and study the Bible. They are also offered a “Source of Light” Bible correspondence course with Christ-centered Bible lessons. 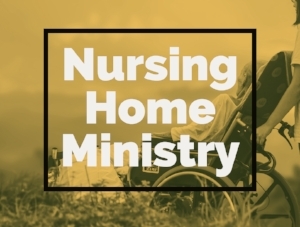 Our Nursing Home Ministry is offered as a way for those who are sick / shut in to be able to hear God’s word every Sunday and be encouraged by their church family. It is also a way for church members to share the message of God’s love to people who have never heard a clear presentation of the gospel and fellowship with long time Shady Grove members. Are you interested in Choir? How about special singing? Children's Choir? Orchestra? We have it all here at Shady Grove Baptist Church. 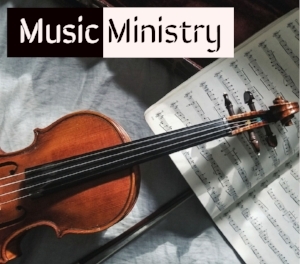 We strive to allow people to use their God given musical gifts in our music programs. Bro. Don Koser, our Music Director, does a great job with all things musical at Shady Grove, and there is always a spot for "one more" Choir Member. Please feel free to come grab food from our food pantry! We enjoy being a blessing to everyone in our community! So come anytime during our church office hours!